Janeen G. Bates, M.D., is a family medicine physician treating patients 6 months of age and older. 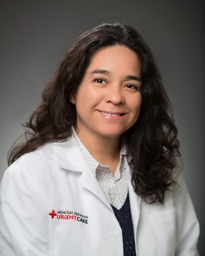 Dr. Bates earned her medical degree at the University of New Mexico School of Medicine. She completed her residency at the University of Massachusetts. Board certified in family medicine, Dr. Bates treats patients for non-life threatening injuries and illnesses including, allergic reactions, minor fractures, and more. Her clinical interests include minor procedures such as suturing and splinting. Dr. Bates’ practice philosophy centers on designing treatment plans that guide her patients to a healthier way of living. Outside of work, Dr. Bates enjoys spending time with her family and friends. Dr. Bates practices at Memorial Hermann Urgent Care Clear Lake.